Another plucky Brit pretender with good word of mouth. Patient and powerful cinema that earns its emotionally wrenching climax. Stunning lead performance too. Expect Hope Dickson Leach to be snapped up by Hollywood in a heartbeat. There are no jump cuts, artful compositions, musical interludes, pop cultural quotations or scenery-chewing performances in Hope Dickson Leach’s contemporary update of ‘King Lear’, The Levelling. 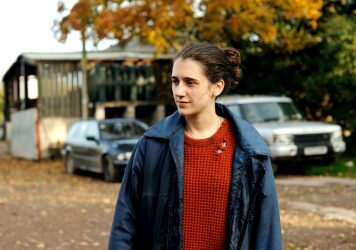 This is a film that doesn’t need to snag at your coat for attention – it is brilliant because of the insights it delivers and the convincing manner it whips up a devastating family drama from the foggy ether. This is naked, unadorned filmmaking that’s only interested in hacking emotions back to the marrow and making everything that appears within the frame count. It’s invigorating to be in the presence of someone in such control of a film and who clearly cares deeply about what viewers see, hear and feel. 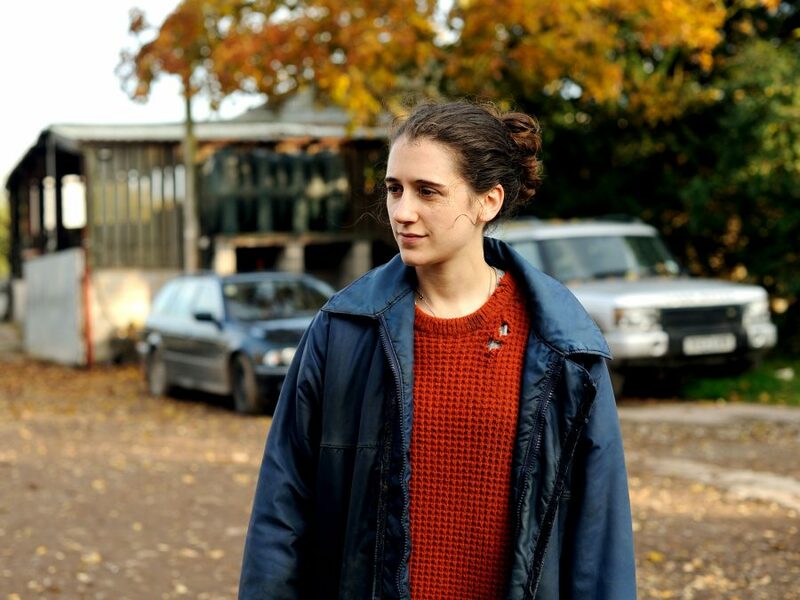 But first, let’s heap praise on Ellie Kendrick’s towering central performance as prodigal daughter Clover. She returns to the family farm to attend the funeral of her younger brother, who shot himself after an evening of bacchanalian revelry. All she does is keeps secrets and hides her feelings. 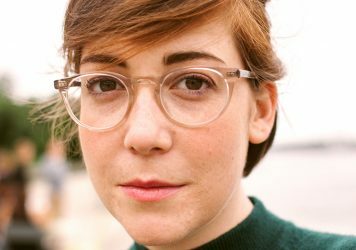 And she doesn’t use gestures to signal to the camera that she’s hiding feelings – it’s done in a way that, when those feelings are actually revealed, they’re entirely plausible and surprising. There are twists to the story, but they are powered by interior rather than exterior forces. Maybe that slow, stuttering drip-feed of emotions might not seem like such an impressive feat, but Kendrick makes it feel natural – as if she’s reacting rather than acting. Like the film itself, her performance is militantly non-showy, but these still waters run very deep. Clover’s foil is her mad pops Aubrey (David Troughton) who initially seems like he’s chronically depressed and going a little stir crazy. He saw Clover was a safe and sturdy pair of hands, potential heir to the land and the only one with the wherewithal to carry the family banner into the future. But through intimidation and a desire for personal independence, she went off to seek her fortune, and her volatile younger brother Charlie both inherited and later bought the farm. 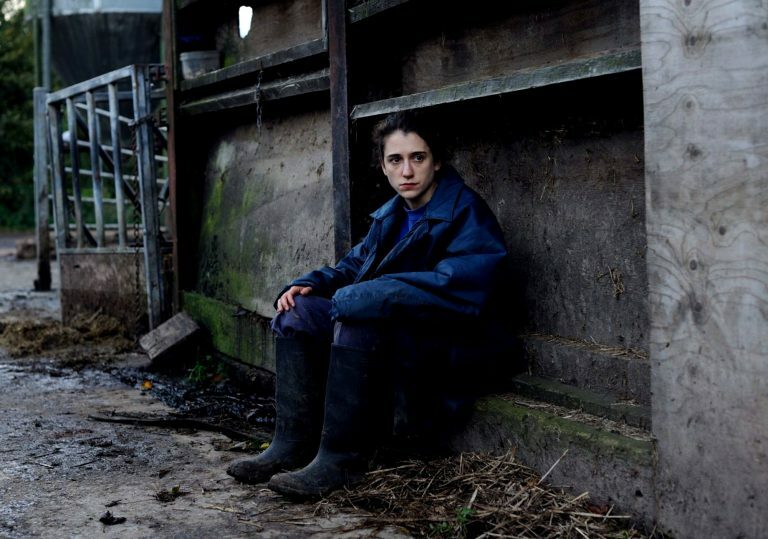 The Levelling is not an example of a filmmaker desperately trying to make something new or search for new forms of cinematic expression. 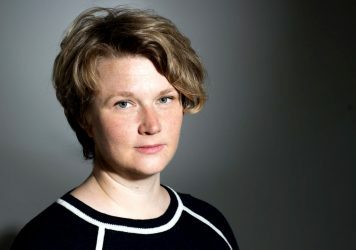 Leach proves with her minutely sculpted, screw-turning tale that there is far too little value placed on basic competence in the wondrous world of movies. She has clearly reverse engineered every element of her tale, knowing how every frame and every gesture will impact on and feed into every other. Watching someone get all the small things right is an unalloyed joy to behold. It would be very easy to take this film for granted, but you’d be a fool to do so. It talks about familial breakdown and responsibility, ghosts and saviours, pride and glory with such expertise and intelligence that it’s clear Leach has lived these lives and knows these people. It’s a cliché to say that we can’t wait to see what she does next, but we’d be lying to ourselves if we didn’t say that we really, really can’t wait to see what she goes on to down the line.